Green Rhapsody | OK Listen! Green Rhapsody is a band formed in 2009 by employees of Schneider Electric. IT professionals by trade, this group came together because of their passion for music and to find a means to break away from the mundane work life. The band is based out of Bangalore and has performed in many locations within the city at both corporate and public events. 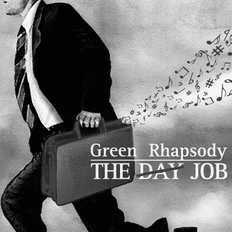 Their first album “The Day Job” blends eastern and western influences and depicts the seven ages of a man’s life through their songs. The band today is focusing on soft/hard rock with some infusions of electronic music.